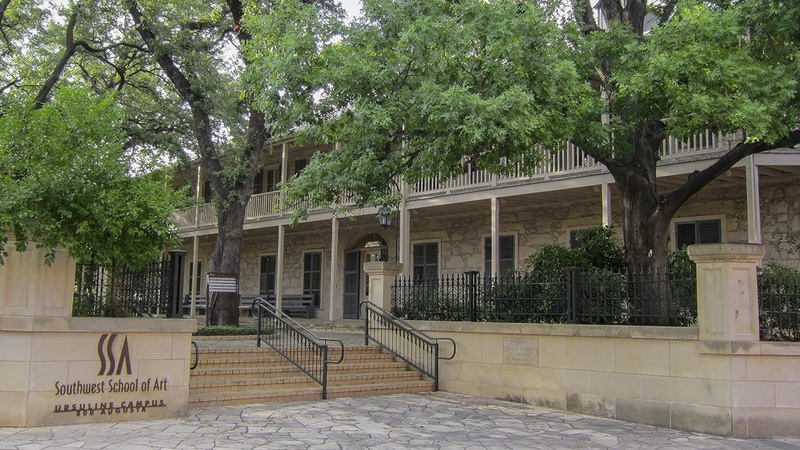 Located approximately half a mile north of downtown, this ten-acre campus was established as a Catholic convent and boarding school for girls in 1851 by Bishop Jean-Marie Odin and Ursuline nuns. 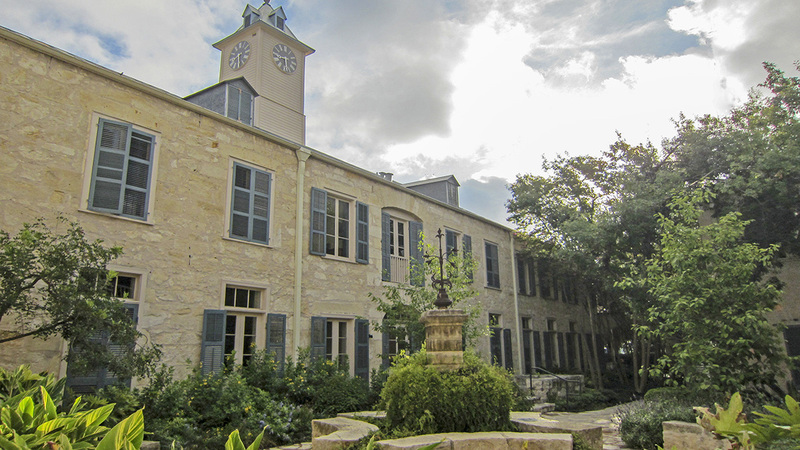 Bounded by a low stone wall along Augusta Street, Navarro Street, N. St. Mary’s Street, and the San Antonio River, the campus began with a small chapel and the first academy building, designed by François Giraud and French mason Jules Poinard. Over time, the school grew to include a dormitory building (1866), a large Gothic Revival chapel (1868), a priest’s house (1882), and a second academy building (1910). 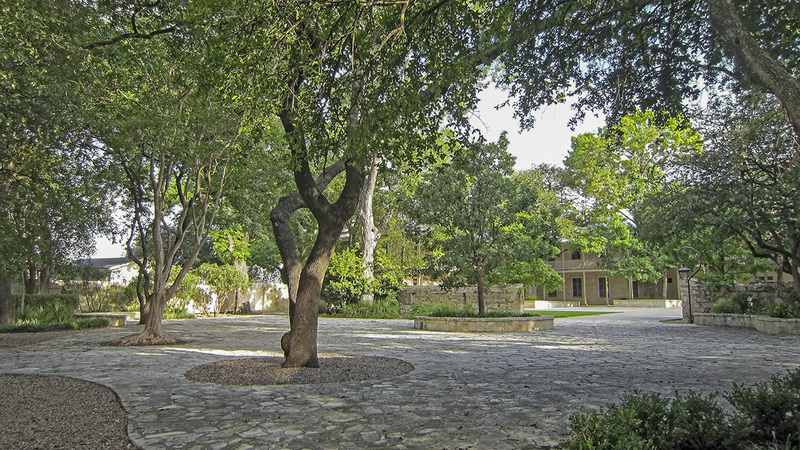 The tightly arranged structures create a series of open spaces paved with natural stone and lushly planted with native species, including Texas mountain laurel and trees such as Spanish oak, Texas live oak, pecan, and anaqua. 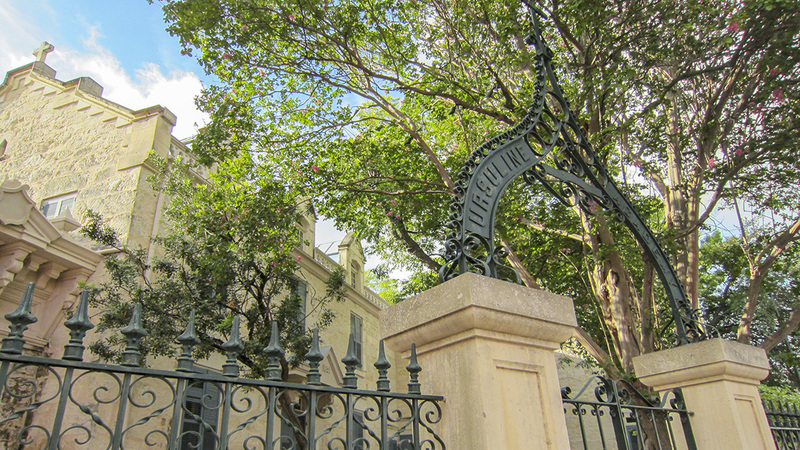 The Augusta Street entrance leads to the Frost Gardens, a narrow courtyard with large shade trees individually planted in circular beds. 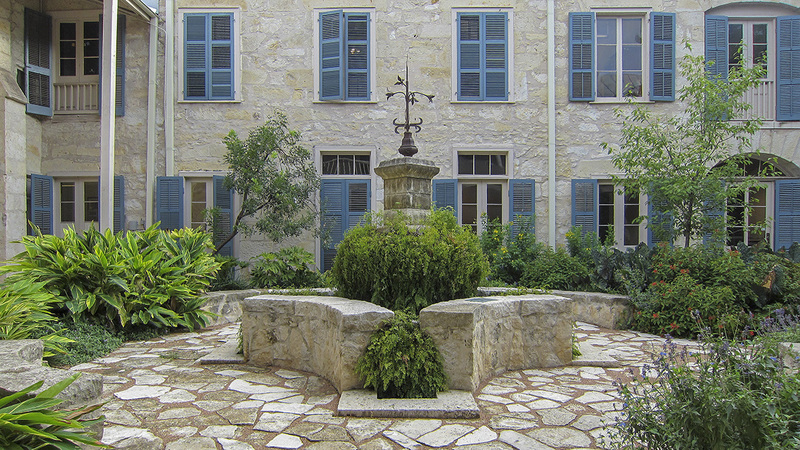 The academic buildings and chapel are connected by stone archways to create a narrow, meditative court with an eclectic cross-shaped fountain and tall crepe myrtles. 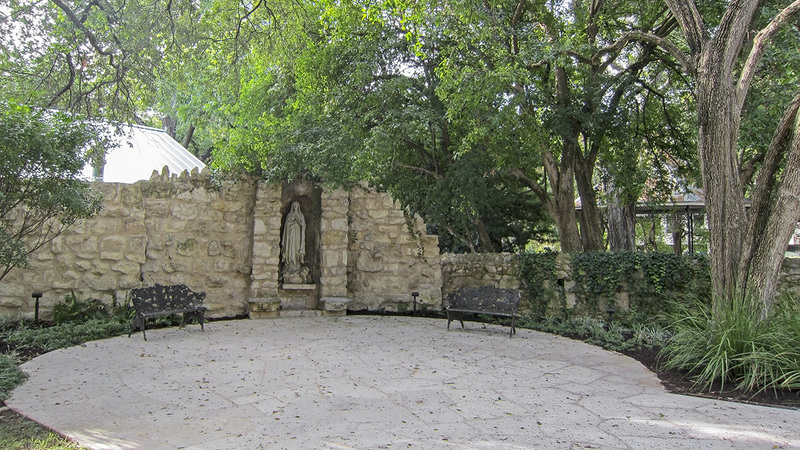 The Mcnutt Gardens occupy the southern portion of the campus, containing a grotto with a statue of Our Lady of Lourdes and a metal-roofed gazebo. 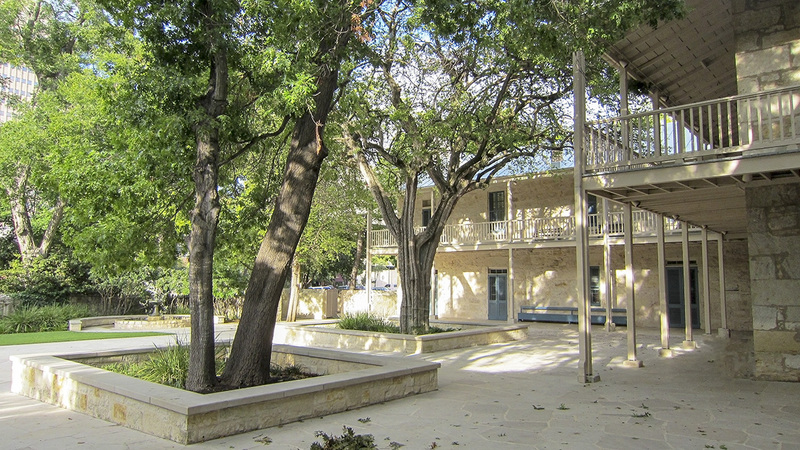 From the southern edge of the site, stairs lead down to the San Antonio River Walk and are lined with flowering shrubs, palms, mountain laurel, Texas sage, and ivy. 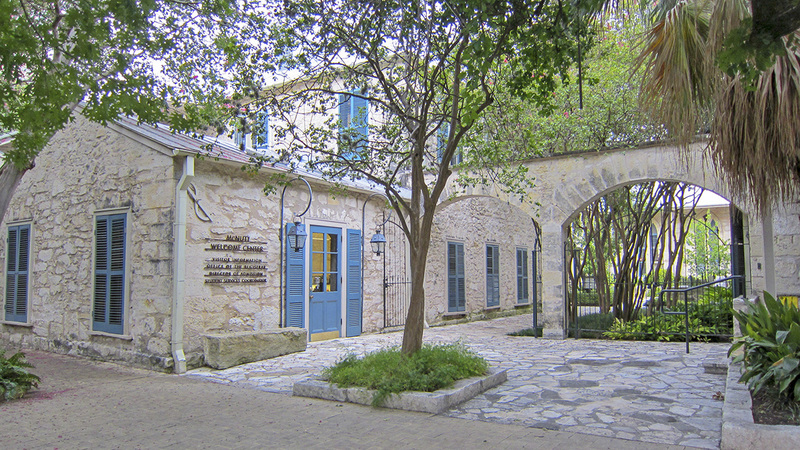 The Ursuline Convent and Academy vacated the property in 1965, and in 1971 the Southwest Craft Center (known today as the Southwest School of Art) purchased it at the invitation of the San Antonio Conservation Society. The Ursuline Academy campus was listed in the National Register of Historic Places in 1969.